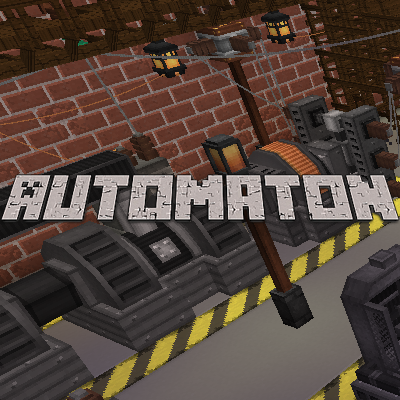 Automaton is a highly focused modpack intended to encourage factory building and automation using large multiblock machines. Automaton is a questing modpack with over 200 quests guiding you through the major pieces of the pack, but only 98 mods, meaning it's lightweight and quick. You'll start off with early game and the Furnus mod for ore doubling before moving on to Immersive Engineering to ramp up your resource production. Once you gain access to steel, you'll unlock even more power production options from Immersive Petroleum and Immersive Tech. Once you have infrastructure, you'll gain access to Applied Energistics 2 to help you organize your resources and kickstart your automation. Move on up to Mekanism so you can start miniaturizing your infrastructure and gaining access to more powerful resource processing including up to 5x ore processing and a Fusion Reactor to produce massive amounts of power. Along the way, play with Viescraft for exploring the world, Waystones for quick transportation around the world, and Roguelike Dungeons for challenging excursions. Additionally, you'll be able to implement Environmental Tech void miners and solar arrays. 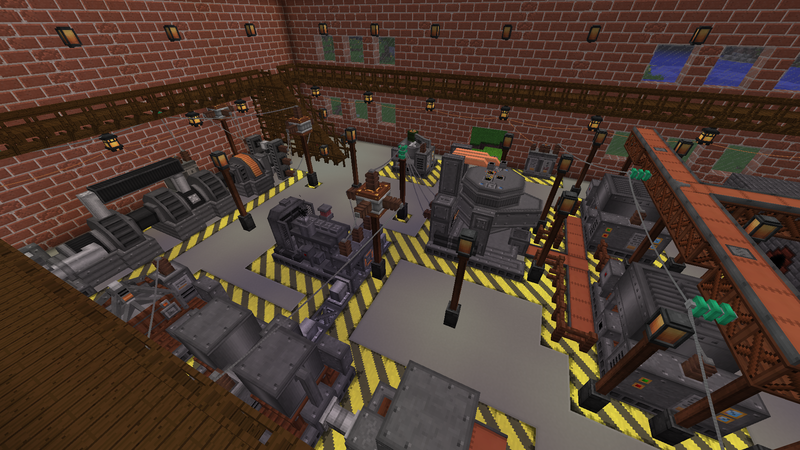 Your factory will look great thanks to cosmetic mods like Chisel, Chisels and Bits, Platforms, Blockcraftery, and Inspirations. If the questbook appears blank or missing quests, please run the command "/bq_admin default load" to reload the quest database. So I've been playing this pack for a week or so now, and I love it. I am also trying to host a server on my PC for my buddies and I to play, but for whatever reason I can't find the .bat server startup file in the server zip file that I downloaded from this page. Any help? I LOVED the modpack. But there's a problem: is missing the CTM (Connected textures mod) in the server files. I have a question, would be nice if anyone could give me an answer. Is there a modlist? I wanted to look on the mods on the launcher, but it loads and loads and loads. The ingame modlist is also not really helpful. I want to know which world gen mods are in this pack. Because it looks not like vanilla, but also not like some big mod like biome bundle. Just click on relations at the top of the pack. It lists all the mods that are included. i wish to host a server with this modpack, i have the server host ready, how do i start? whats the server.jar etc? we are streaming this pack and enjoying it greatly as I like IE and Jr likes mechanism so it fits us well. There is one problem we have encortored though, there is no way to void off or burn creosote. you can use it to make torches but at some point you just cant make enuff of them to keep up with steel production. Thanks for the great modpack! Useful Nullifiers has a Fluid Nullifier you can use. Love the pack. I was just wondering if you were working on an update? Also would you consider adding in the GraveStone Mod? I love this pack, but I can't get Ore Excavation to do anything, and Immersive Engineering is refusing to transmit power. My LV capacitor is full, but the power doesn't seem to transmit through the connectors. Does someone know how to fix either of these issues? Does anyone know a public or private server for this pack I could join? Aternos is free and hosts this pack. It's a private server hosting site, so you can choose who can join. Did anyone have any problems with the Induction Matrix? I can get power into it, but I can't get power out. I've tried different cables on both ports but nothing is happening. I downloaded the serve pack and replaced the old mods with new ones in the pack. Will this action cause problem? THIS! So much love for this pack! This is literally EXACTLY what I was looking for for months. Thank you so much for this modpack and the work you put in!